Candidates are an integral part of elections. 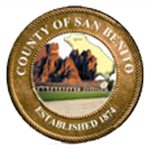 On this page, and it’s sub pages (Forms and Manuals and FPPC 460s), the San Benito County Elections Division attempts to provide information for candidates and potential candidates. Registered to Vote at an address within the jurisdiction of the office. For example County Supervisors must reside within the boundaries of the district for which they are running; the Mayor of Hollister must reside within the city limits. Invitation to Voter’s Edge California – League of Women Voters of California Education Fund invites all candidates to participate in Voter’s Edge California, which provides voters with all the candidates’ personal in-depth profiles free of charge to both the candidate and voter. Our Candidate’s Handbooks – Find all our current and past candidate handbooks here. Draft Handbook for March 2020 Primary – NOTE: Not official and not complete. Candidate Appointment Scheduler – In an effort to better server our candidates, we ask that you pre-schedule an appointment for filing your paperwork, or to consult with us about the requirements and process of becoming a candidate. Complete application to obtain maps for your campaign use. Cost depends on size and level of detail. Additionally, please feel free to view our Elections and Filings Calendar for the most up to date election related events and scheduled FPPC filings.